Died: 1993 in Wiesbaden, Germany. 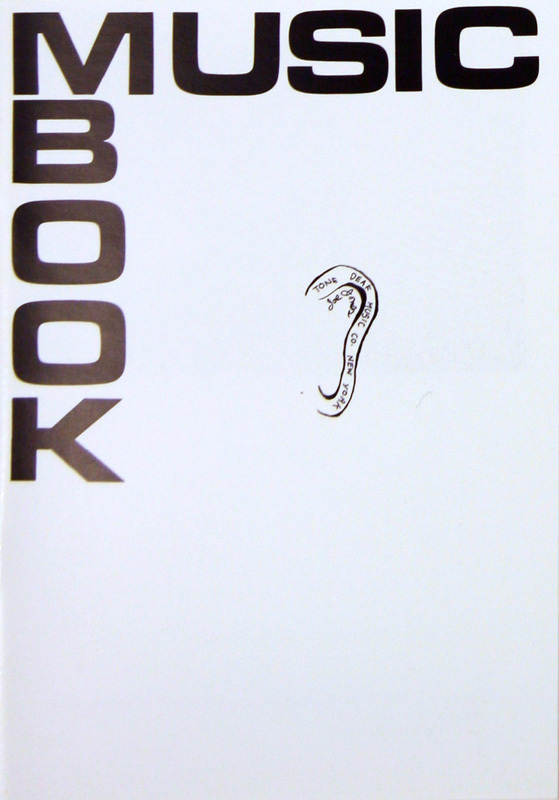 Jazz and composition at the Hermett School of Music, New York, 1960 - 1962 by Earle Brown, John Cage and Bob Bianco. 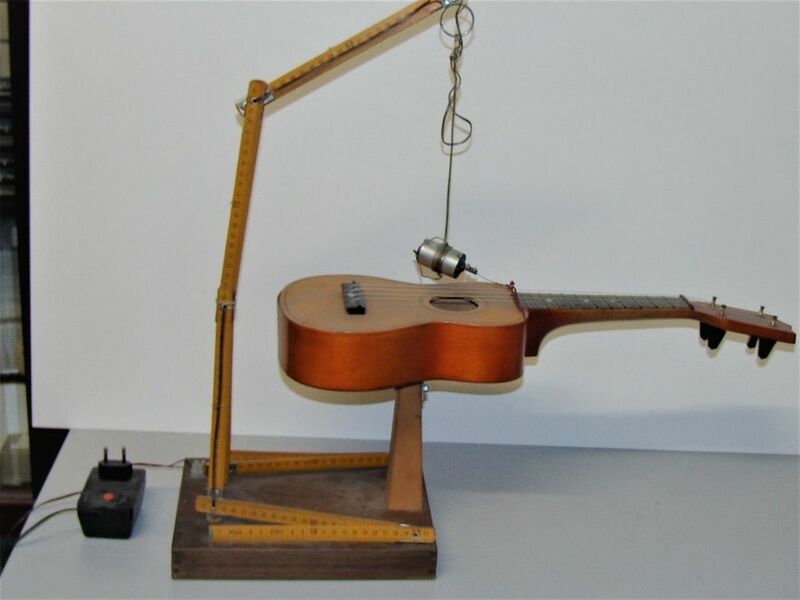 1962 Construction of music machines. 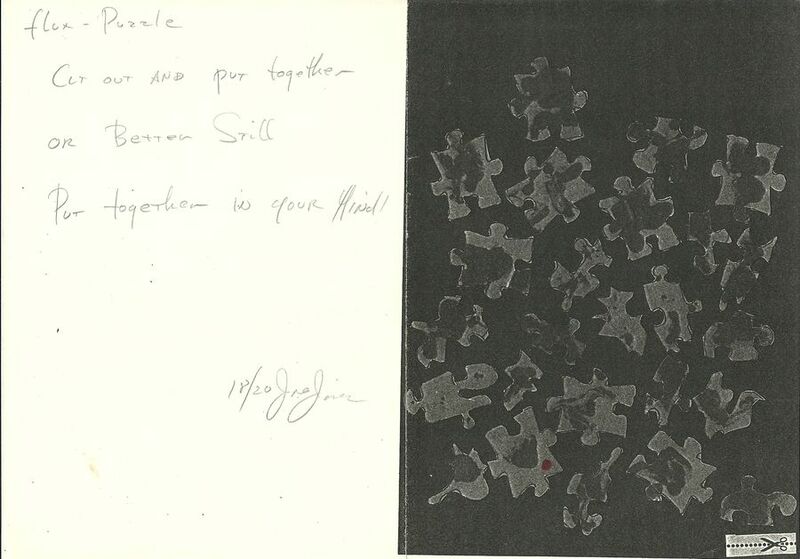 1963 Member of the Fluxus Group. 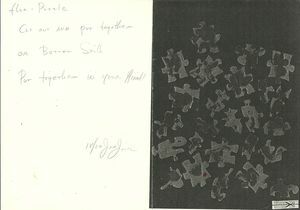 Participation in Fluxus Festivals. 1969 - 1972 own "Music Store". After that he founded with George Maciunas, the Fluxus Airline ". 1979 - 1980 guest of the DAAD Berlin Artists Progamme. He lived up to his death in Wiesbaden. 58 x 61 x 19 cm. 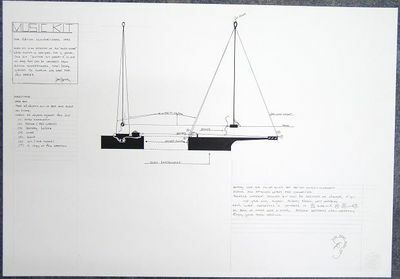 Line drawing on carton,signed and dated, 1973, 45 x31 cm. Size: 18/20, 30 x 20 cm. 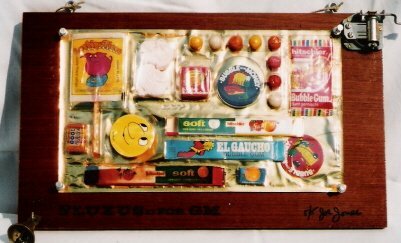 A wooden board with a musical clock, a bell and chewing gums set. 08. 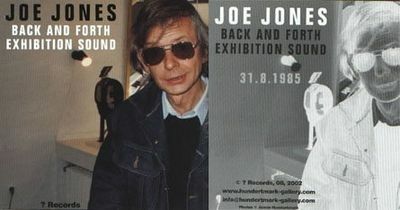 CD - Joe Jones, "Back and Forth"
11. CD - Joe Jones, "XYLOPHONE"
16 pages with 14 illustrations and a preface by Ben Patterson, cardboard cover.